Wé McDonald isn’t yet a household name, but ask any of the music fans who religiously attend the World Famous Apollo Theater’s amateur night in Harlem, New York, and you would think she is artist of the year. A prodigious singer/dancer/composer/actor, Wé began singing at the age of four and, two years later, began acting. She has rapidly amassed an impressive list of performance venues that includes: Jazz at Lincoln Center, Minton’s Playhouse, Forbes’ Women’s Summit, the National Urban League Annual Awards Dinner, the New York Philharmonic Orchestra and The Harlem School of the Arts (HSA) where she is a three year scholarship recipient. She has also performed as a featured vocalist with Paquito D’Rivera during the Berklee College of Music’s Latin Jazz Summer. Most recently, Wé wowed audiences at The Apollo Theater where she was a three time Amateur Night winner, stunningly received a perfect “100” on the audience applause meter, and was just voted first runner-up in the Grand Finale. The most notable fact of this accomplishment is that We’ was the youngest contestant competing in the adult category! An honors student in the arts program at Passaic County Technical Institute in New Jersey, We’ is leaving a legacy at her soon to be alma mater. The talented high school senior was the lead in her school’s production of 42nd Street and, on December 2, traveled to Tortola, British Virgin Islands, with HSA to play the leading role in a play called Soul Nativity. The play will be presented to special invited guests including the Prime Minister. We’ has also written four songs for the HSA jazz band CD Evolution. In 2016, McDonald is launching a web series – Waze Way – that will feature interviews with extraordinary teens and will showcase the hosts acting chops as she assumes a different “character” for each episode. Wé, even at a young age, looks at performing as far more than entertainment only. “I want to change the world through arts and music,” says the talented teen. 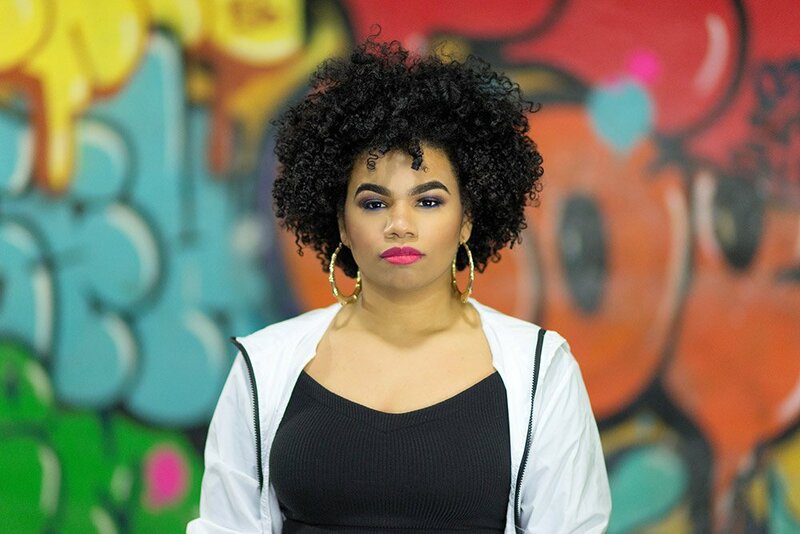 Wé is a past recipient of the Clive Davis Institute’s Future Music Moguls Merit Scholarship at NYU, where she plans to attend after she graduates from high school in May, 2016.